Top o' the mornin' to you me snarky friends!! Edna and the sisters are getting an early start to our St. Patrick's Day shenanigans and invite you to play along!! 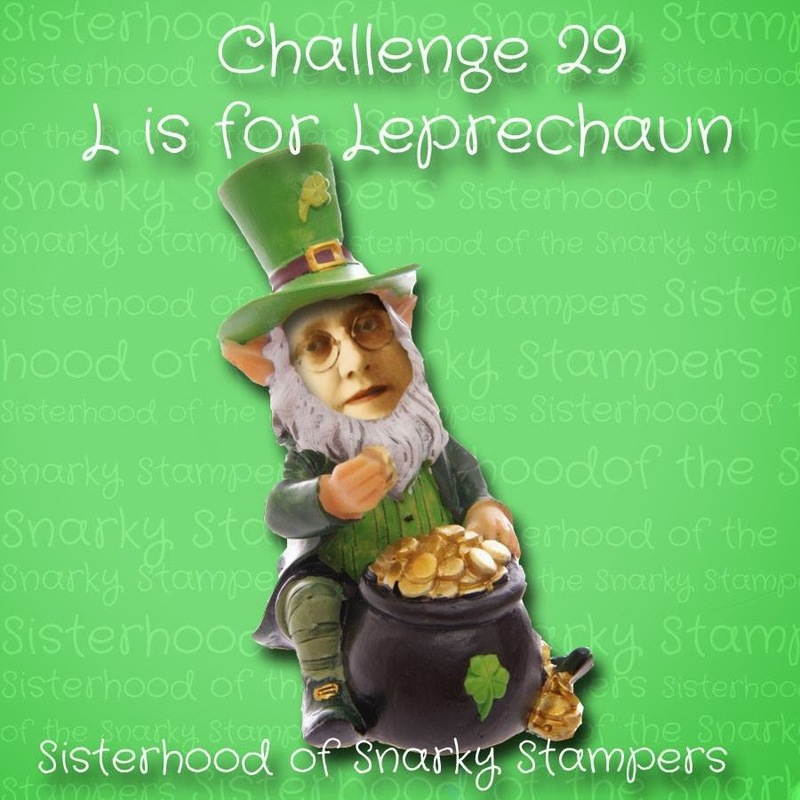 Check out the SoSS BLOG for all the details on the L is for Leprechaun challenge and while you are there show my sisters some crafty lovin! Here's what I made for the challenge - how is it that the clean and simple cards take me the longest to make???? 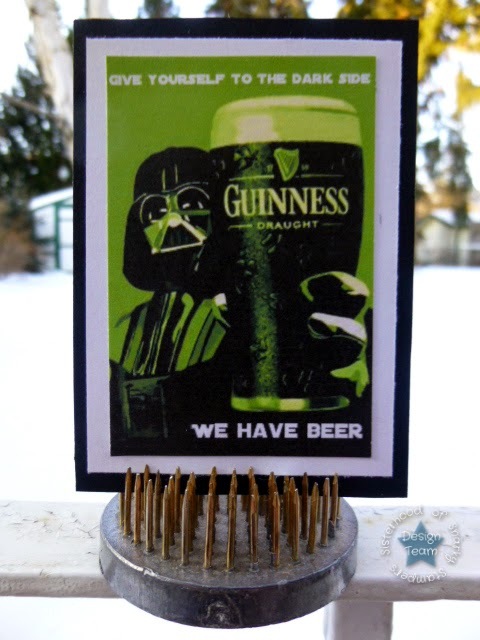 Then, I also made this ATC...because you know...three of my favourite things (Star Wars, Guinness and St. Patrick's Day) all on one little ATC was just too hard to resist! I found the image online and used pixlr.com to add the sentiment using the Distant Galaxy font. What are you waiting for??? Head over to the SoSS BLOG and join in the shenanigans!! Maybe you will be our next Queen or Princess of Snark!! Both are great, love the use of the sequins (haven't figured how yet) I love ATCs too and yours is awesome. I can't love this card and ATC enough! Super fab job on both! Give yourself to the Dark side -- still laughing at this!! Oh my!! So funny, i love it!! Cursing is always fun!! hehe!! Thanks letting me play along with you and dt ladies! Let's go to Ireland and have a Guinness. They taste great in Ireland. 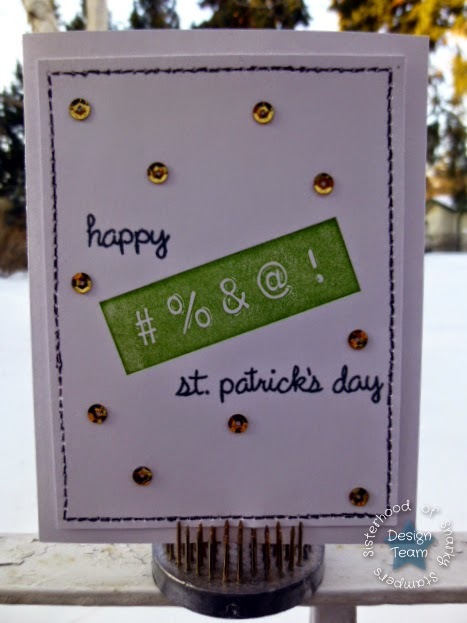 Fantastic St. Patrick's Day crafting! What a great stamp set on the card-perfect for other occasions too, I imagine! Funny ATC! It might have taken you longer, but it was worth it...great card! You ATC rocks! I never realized they had more than cookies on the Dark Side.